1) Make sure you keep the 3 strands together at all times while knitting. Sometimes they want to split up when inserting the needle into the stitch. 2) Keep the 3 different skeins of yarn apart from each other while you are working. If you don’t they will knot together. I made this mistake and had a big mess to untangle! 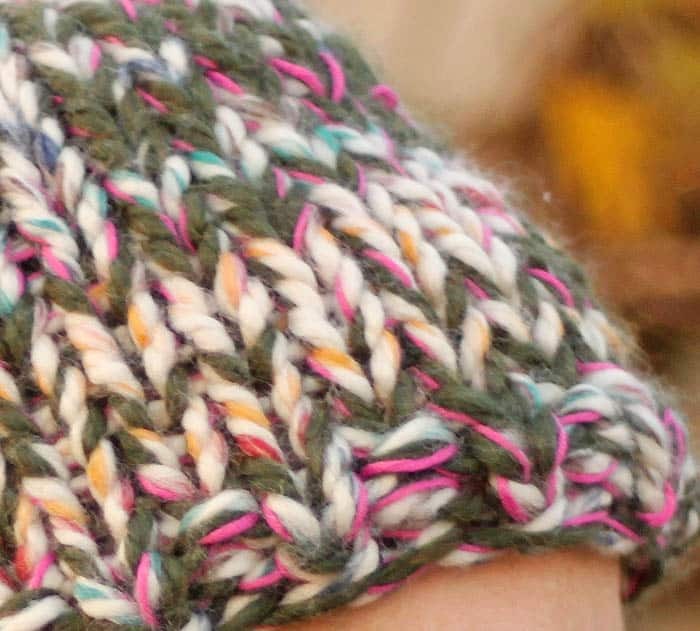 Knitting with three strands at once takes some getting use to, but once you do this hat is a breeze to make. I definitely plan on making this in a few more colors for myself! With the circular needles, cast on 32 sts. Join ends together. Work in K1, P1 ribbing for 2 rows. 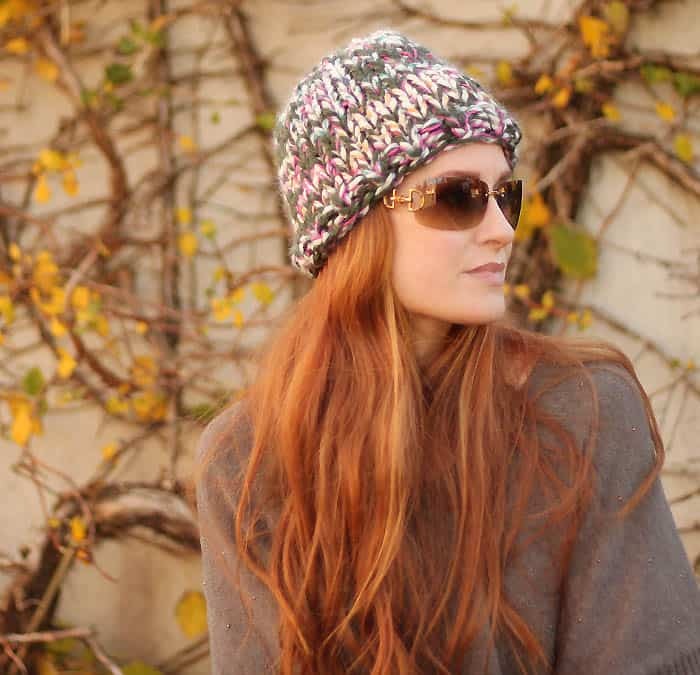 Knit every row until the pieces measures 8 inches from the cast on edge. Thanks for this! Love it already!